Can You Do a Full Body Workout 3 Times A Week? Strength train three times a week for a full-body workout. Exercise should come with a warning label because once you begin a workout routine, you are hooked. As a beginner, one or two workouts a week are challenging as your body adjusts to the physical activity. Soon, you are able to exercise three to seven days a week, depending on your goals. When considering your workout schedule, you also have to consider the types of exercises you do. If you participate in aerobic activity such as walking, swimming, bicycling, dancing or jogging, the U.S. Department of Health and Human Services recommends a minimum of two and a half hours each week. Your full-body, rhythmic, aerobic activities should be done at least three days a week, with the goal of doing some type of activity daily. 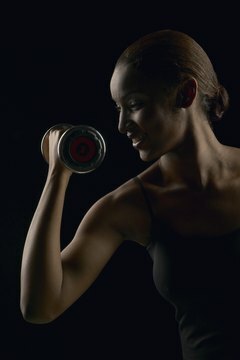 In the U.S. Department of Health and Human Services' guidelines, strength training is recommended on at least two days a week. This program uses a full-body routine that concentrates on the major muscle groups of your legs, back, chest, shoulders, arms and core. Strength training includes the use of free weights such as barbells and dumbbells, and also the use of body-weight exercises such as pushups and situps. During resistance training, your muscle fibers are damaged. This sounds bad, but it isn't. When you strength train, you subject the muscles to trauma. The muscle fibers separate in response and then cells are sent in to rebuild the tissue. This is how muscles grow. Your effort during your full-body workout also affects the amount of damage. If you lift heavy weights, you increase the trauma to the tissue. Muscle breakdown is the reason you can't perform strength training every day. The days off in between workouts are when muscle recovery occurs. This time period is as important as the workout itself. While most repair occurs within one to two days, the process depends on your genetics, stress, sleep, food intake and general health. Yes, you can perform your full-body routine three days a week, but allow for one to two days of rest in between your workouts. You are able to participate in your aerobic activity on the off-days, which increases blood flow to the repairing muscle tissue. 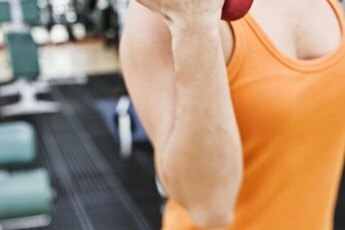 How Often Should You Change Your Exercise Routine for Muscle Confusion? Is it Bad to Drink Once a Week? 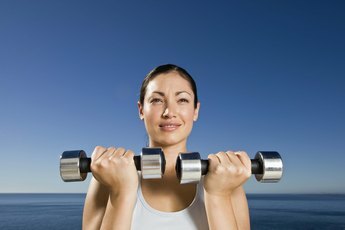 What Exercise Is Permitted While on the HCG Diet?